How confident are you with your company’s forklift safety program? From HR personnel to safety supervisors, there are plenty of questions about forklift training, including all aspects related to renewal training. How to renew a forklift license. 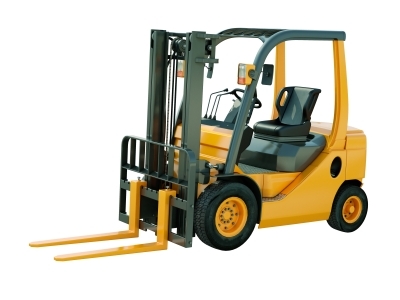 Can I renew a forklift license online? How often do you need to renew your forklift license? Plenty of questions – and CertifyMe.net has the answers! CertifyMe.net features a convenient forklift recertification program for any business. Three years after a forklift operator’s initial certification, OSHA regulations require a forklift renewal card. This promotes safer work practices and also assists with your company’s overall safety and quality initiatives. An expired forklift license won’t help your company during an OSHA inspection. All of your forklift operators should renew forklift certification and training immediately. CertifyMe not only provides the best online forklift training, but we’ll also help with all any lift license renewal! It’s all part of our promise to deliver the most complete, affordable, OSHA-compliant forklift training program you’ll find anywhere. How can a forklift license renewal from CertifyMe benefit your company? • Convenience: Forklift certification renewal can be conducted at your facility. Plus, certificates can be printed the same day. When you renew your forklift license online with CertifyMe.net, it doesn’t get much more convenient. Our training can be fit to work around your schedule – not the other way around! • Safety: With a forklift license renewal from CertifyMe, your workers are better prepared to handle any on-the-job hazard. It’s not only a federal requirement – it’s simply better for forklift drivers and employers alike. If you’re not sure how to renew your forklift license, you’ve come to the right place. CertifyMe.net includes free lifetime renewals as part of our comprehensive forklift training courses. • Peace of mind: OSHA citations carry a heavy penalty. Having your drivers take forklift recertification keeps your company compliant. How does Forklift Recertification Work? CertifyMe has an exclusive 3 Year Renewal program for every client. If you’ve put your forklift operators through our initial certification, a forklift renewal is just a few mouse clicks away. When your forklift driver has reached the 3-year mark since the last certification, simply log in to our website and enjoy instant access to a new operator certificate and wallet card with new 3 year expiration date, along with the latest hands-on evaluation forms with today’s date. This is very important in the event of an OSHA audit or inspection. If you’re not sure how long forklift certification lasts, or need help with your renewal training program, don’t worry – CertifyMe.net has you covered! Best of all, you can renew your forklift license online. Register today and enjoy the convenience and peace of mind that comes with forklift renewal training from CertifyMe.net. When is a Forklift Certification Renewal Necessary? Other than the standard 3-year period, there are other ways your forklift driver might require certification renewal. If an operator operated the forklift in an unsafe manner, is involved in an accident, or assigned a different type of truck, forklift recertification is necessary. Another less frequent instance that would require forklift renewal training is when a facility is modified in a manner that changes safety regulations. For more information about how to renew a forklift license, check out our informative blog post on this subject. What Are OSHA’s Penalties for Not Renewing? OSHA regulation 29 CFR 1910.178(l) specifies new requirements for forklift operator certification. With potential fines anywhere from $7,000 to $70,000, obtaining a forklift certification renewal is more important than ever. In any competitive industry, it’s hard to afford such expensive fines. That’s why you should renew forklift certification and training classes as soon as the 3-year expiration date hits. With the supportive staff at CertifyMe and our always-accessible training courses, we’ve make it easier than ever to remain OSHA compliant – and our lift license renewal program is totally FREE, if your employees have already completed our OSHA forklift training. Once you’re certified with CertifyMe.net, your training papers and certification are good for three years. OSHA put in this requirement to ensure that employers have qualified drivers for all aspects of their operations. Whether you’re a warehouse worker, work on a construction site – or anywhere else – you’ll have to get recertified after three years (or 36 months). Which is just another reason to sign up with CertifyMe.net – we offer free 3-year renewal training! Why Was Forklift Recertification Training Created in the First Place? Sign up with CertifyMe.net Today – Renew Your Forklift License Online! If you have any additional questions about renewing a forklift license or scheduling forklift license renewal courses, contact us or just give us a call at 888-699-4800. We can also be reached through email at sales@certifyme.net. Our online form is also a great way to get in touch. Remember, CertifyMe is the best place to conduct your forklift renewal program. We’ve been helping businesses with initial forklift training and certification for years. Don’t let an expired forklift license put your company on the wrong side of OSHA inspectors – get your lift license renewal today! Give us a call today – and thanks for making CertifyMe the #1 web-based forklift training system since 1999. If you’re not sure how to renew your forklift license, the best time to get help is now. Don’t wait for costly OSHA inspections. Do you want to pay thousands in fines and penalties, or pay an affordable price upfront? The choice is easy: sign up today with CertifyMe.net! CertifyMe.net has everything you need to renew forklift license online. We’re with you every step of the way: from initial certification, renewal training, and beyond!